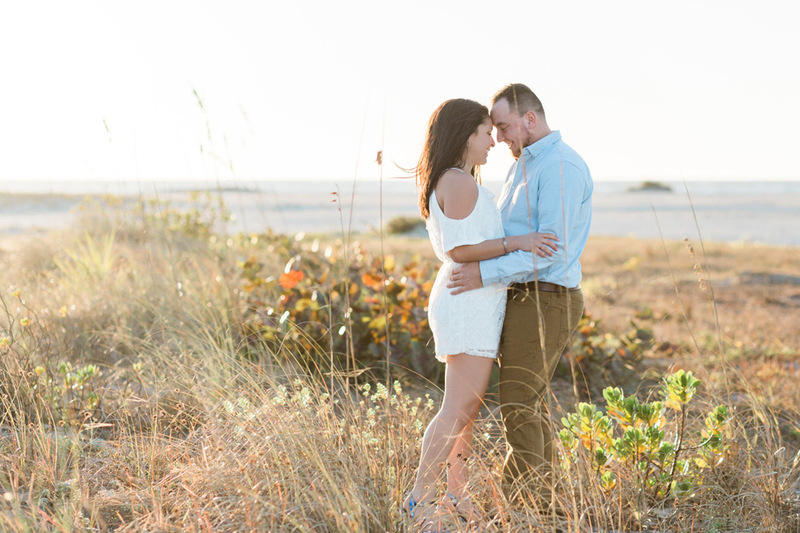 Francesca + Alex are planning a destination wedding on the beach for next year, and we were luck enough to meet up with them recently while they were in town to do an engagement session! 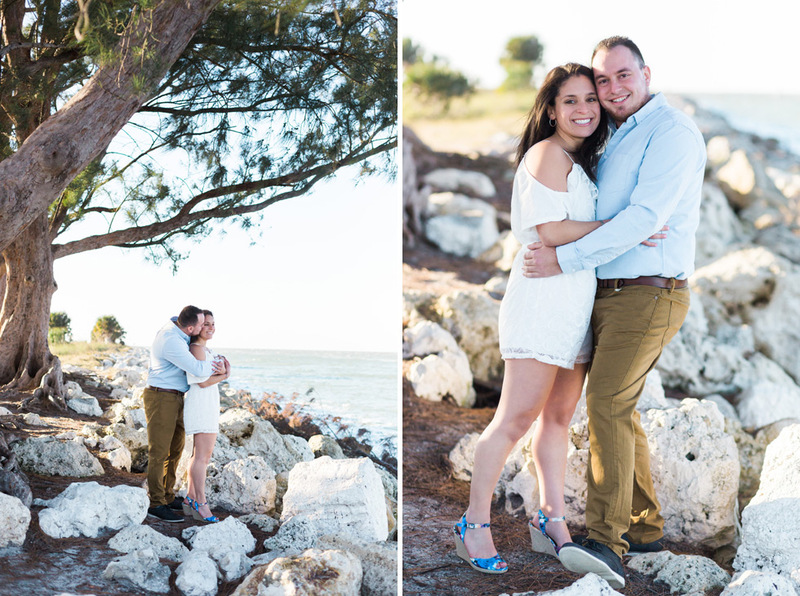 Expert Photographer Amy got to hang out with these two at Sand Key Park in Clearwater, and they totally rocked their photo shoot. Here are just a few of our favorites! These rocks by the water are such a gorgeous location for photos! I love these portraits! It looks like they’re having so much fun together! That warm sunlight! I love it! Francesca + Alex look so happy and in love in all of these amazing photos! Congratulations on your engagement, Francesca + Alex!